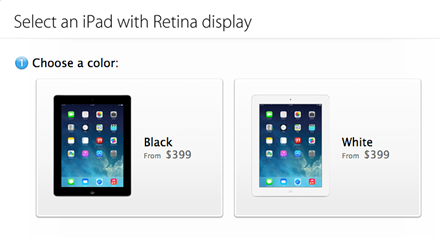 Refurbished 128GB iPad 4 models are now available directly from Apple. These are the iPad 4th gen or iPad with Retina display models – with 128GB storage capacity. 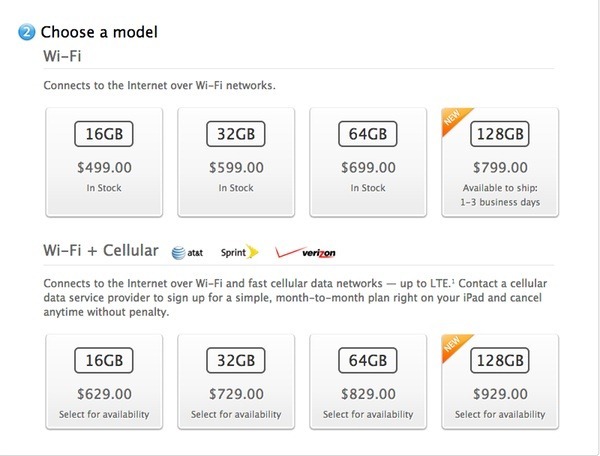 There are currently white and black WiFi only models available at Apple’s online store – priced at $679. That price is 15% off, a savings of $120 on the price of a new model. There’s also a white 128GB WiFi + Cellular model for $789 – $140 off the price of a new model. 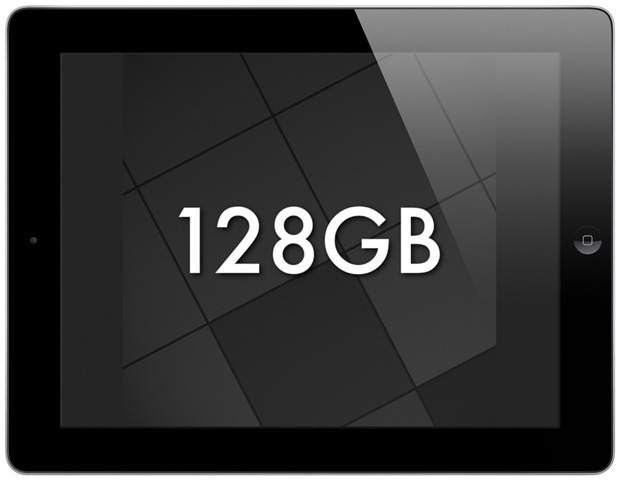 If you’ve got a need for 128GB on your iPad, this is a good deal to look at. I’ve bought refurb mobile devices from Apple in the past and always had stellar experiences with them. You can check on these offers at this Apple Certified Refurbished page. As expected, Apple has made the new 128GB models of the iPad with Retina Display (aka iPad 4) available today. The new 128GB models are available in black or white and are priced at $799 for the WiFi only model and $929 for the WiFi + Cellular model. Shipping time for the WiFi only model is listed as 1-3 business days. I called my local Apple store this morning and they have the WiFi only models available, but are not sure as yet about when they’ll have the WiFi + Cellular units in stock. Are any of you planning to get a 128GB iPad this week? Wow, that latest iPad rumor took just about no time at all to prove true. 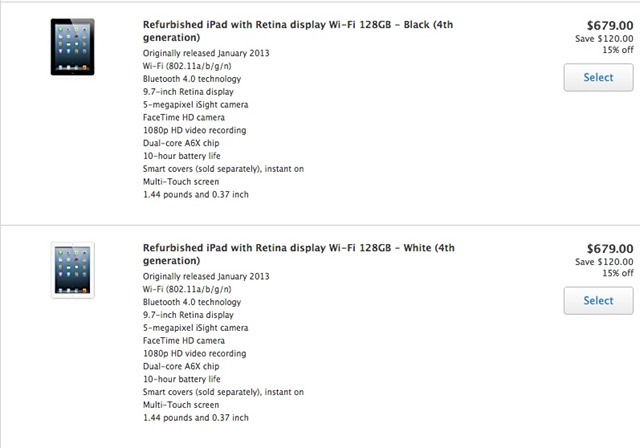 Today Apple has announced a new 128GB version of the iPad 4, or 4th generation iPad with Retina display. The new version will double up the maximum storage capacity for both WiFi only and WiFi + Cellular models of the iPad 4. Apple’s press release on this is aimed squarely at the business and enterprise market and cites a number of examples of the sorts of uses that make the doubled up storage extremely useful. 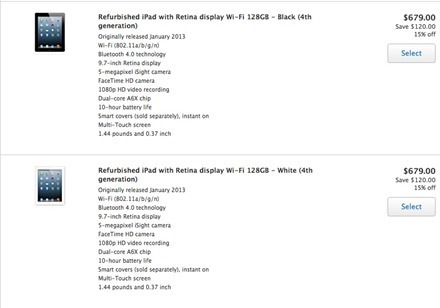 The new 128GB versions of the iPad 4 will be available starting next Tuesday, February 5, via Apple retail and online stores and other Apple Authorized resellers. They’ll be available in black and white and priced at $799 for the WiFi only model and $929 for the WiFi + Cellular. Do You Want a 128GB iPad? Would you be interested in an iPad with 128GB of storage? It looks like we may soon be seeing one if 9to5Mac and their un-named sources are correct. They say Apple is preparing to release a single additional iPad model, as an additional model in the iPad 4th gen lineup. 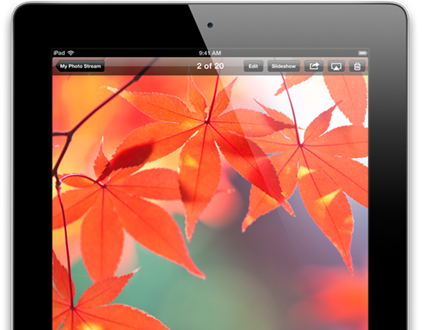 It is a fourth-generation iPad, not a new design. It comes in both the current black and white color options. It comes in both WiFi-only and WiFi + Cellular versions. It is a more premium SKU that will join the current line of 16GB, 32GB, and 64GB fourth-generation iPads. 10-pack deals (in both colors) for educational institutions will be offered. In an update on their original post, 9to5Mac have said prices will be $799 for a WiFi only model and $929 for WiFi + Cellular. There is also some speculation that this new model might be for specific markets – like education or government for example. If Apple does release a 128GB iPad 4 over the next few months, would you be rushing to grab one? I think if there is no other upgrade to the iPad then I would still stick with my iPad 3 – and await a hopefully lighter, slimmer, more iPad mini like model later in the year.